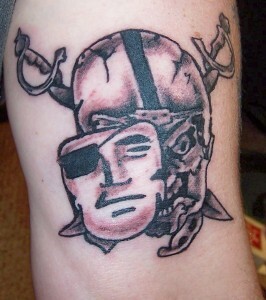 ML gets NEW Raiders Tatt !! Fresh from the tattoo parlor – ML’s new Raider tattoo.. Inside of left arm.. Whoever tells you these things dont hurt is LYING to you !! Hurt like HELL !! 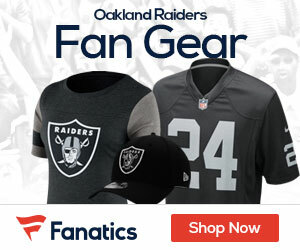 But hey, when you bleed BLACK and SILVER like I do, I guess the pain is worth it!! Just one more way to show my love for my team !! GO RAIDERS !!!! !